I recently re-read books 1-3 and then caught up to book 9 in like a month. Then of course the library didn't have the last one but these books are AWESOME! 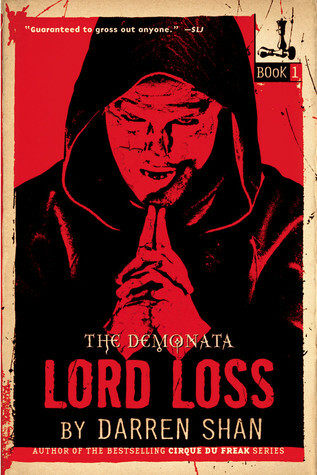 I first read Shan's Saga of Darren Shan/Cirque du Freak series and loved it so then I discovered his Demonata series. These books are creepy, gross and like a more kickass R.L. Stine. “You thought I was a werewolf?" Dervish asks. I do have an e-reader! I won my Kindle last December and have loved having it. Paper books are still better but free e-books are nice and addictive. Yes, I lurve Mr. Shan's books! I still can't believe I won it.